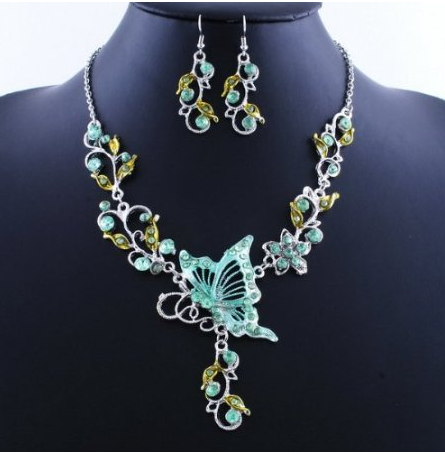 Butterfly Necklace and Earring Set only $4.99! You are here: Home / Great Deals / Amazon Deals / Butterfly Necklace and Earring Set only $4.99! shipping is only $1.99! What a deal! You can choose from green, pink or coffee color or for a dollar more get a red, blue or purple! Make sure to snag a couple of these sets for gifts! Get the Butterfly Necklace and Earring Set for only $4.99!